Love Notions pattern | Stitch.... and Bake!!! I had the pleasure of testing a new pattern by Love Notions, the Lotus Blossom Blouse. 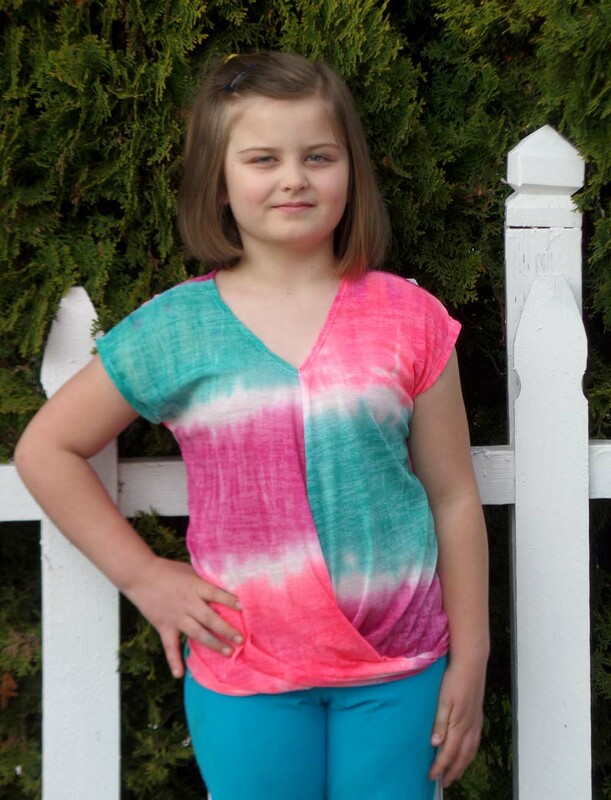 There are actually 2 patterns available, girls size 2T -16, and ladies size through 3XL. This PDF pattern goes together simply, with a no trim page and layering, which means you can pick and choose what size or sizes you want to print. I love both of these options!!! This is the girls size 14 that I made for my daughter. Made from a lightweight knit for the awesome drape, this top is perfect for spring and summer wear! She also really liked it and wore it the day after I made it, and wants me to make her more!! Her younger sis, also wants me to make her some. This is a quick sew, taking about 1 hour, after the pattern has been assembled. Love Notions patterns have great tutorials with them, with step by step instructions, sewing tips and photos. At the very end of the pattern there are inspirational photos so you can see many different sizes and fabrics that were used by testers. I recently tested the Love Notions Tuxedo Knit Dress pattern. This is a great pattern for knit fabrics, and perfect for any time of the year. This dress would be great for school, or play and my daughter says it’s very comfy! I tested a size 10, shown here, and we like our dresses a little long, so the length was perfect for us. 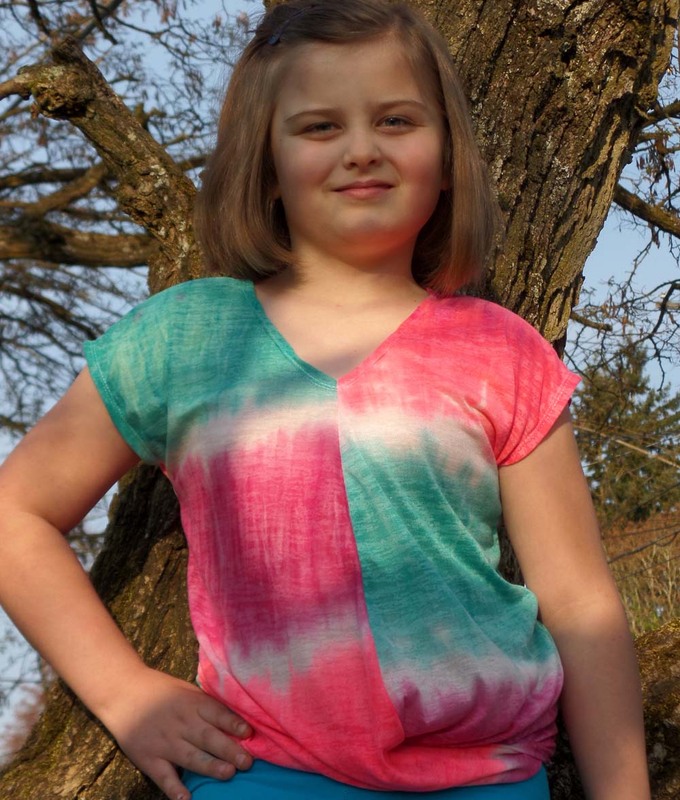 This dress is a quick and easy sew, and has several options. It has several sleeve variations, and can be made to include side seam pockets, make it with or without the ruffle or bib front. With such a great variety, each dress can have a totally different look to it! This pattern will be released on June 12 and you can find it in the Love Notions Etsy Store and for the first week, you can use the code tuxedo for a 15% discount.